Add more storage to your living room with this cocktail table. 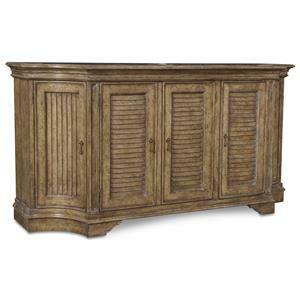 Reeded-style drawer fronts offer a unique design flair. 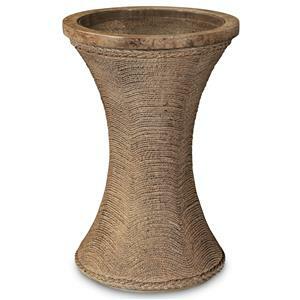 Complete with turned feet, it is an eye-catching storage piece for your decor. The Pavilion Storage Cocktail Table with 2 Drawers by A.R.T. 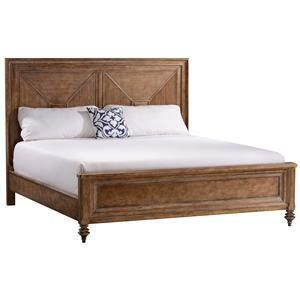 Furniture Inc at Baer's Furniture in the Ft. Lauderdale, Ft. Myers, Orlando, Naples, Miami, Florida area. Product availability may vary. Contact us for the most current availability on this product. Case Construction Radiata Pine veneers and solids. Select beds made of metal. 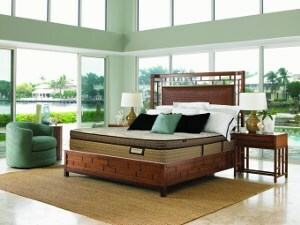 The Pavilion collection offers refined coastal styling with an appreciation for relaxed living. Gorgeous turnings offset reeded accents – mimicking the serene, undulating motion of calm coastal waters – traditional design elements enhancing transitional forms. Honed marble and gold-flecked antique mirror on select items accentuate, while select cases wrapped in woven rattan with metallic accents lend an unexpected flair. 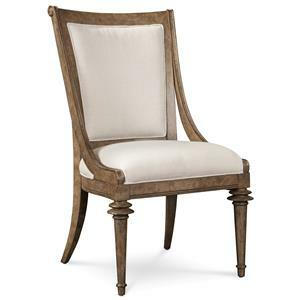 Creating a sense of fine, casual living, the Pavilion collection will add warmth and luxury to any home. 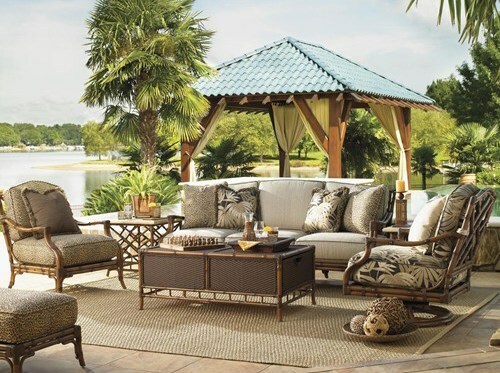 The Pavilion collection is a great option if you are looking for Transitional Tropical furniture in the Ft. Lauderdale, Ft. Myers, Orlando, Naples, Miami, Florida area. 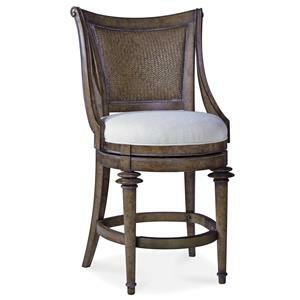 Browse other items in the Pavilion collection from Baer's Furniture in the Ft. Lauderdale, Ft. Myers, Orlando, Naples, Miami, Florida area.